Food supplement. Hepafar Capsules and Drinks for an efficient 90 day liver detox. Everyday stress, lack of sleep, unhealthy diet, alcohol, smoking, not enough exercise… all of these can put a burden on your liver to the point where it starts to get fatty. The problem is, most people don’t realise they have a fatty liver. What do you do when you get a headache? Most of us will take a painkiller. And what do you do if you have fatty liver? Nothing. When you have a headache, you feel pain. You know something is wrong, so you take action. But the liver has no nerves. It doesn’t hurt. Since fatty liver is a condition that doesn’t hurt, we do nothing. We aren't truly fully aware of how important the liver is. We all know where our heart is, what it does and we know we can’t live without it. But do you know where the liver is and what it does? Do you know that we cannot survive without it? If the liver fails, we only have 3 days to live, maximum! And while we can get an artificial heart implanted, the same doesn’t hold true for the liver. It has more than 500 crucial functions, a lot of which we know very little about. Increased cholesterol and triglyceride levels, and so on. Fortify your liver so it can effectively handle environmental toxins. Hepafar Forte contains a patented form of milk thistle extract (silybin). Because the liver can’t utilise milk thistle to its full potential, we’ve encased it in phospholipids. You can imagine it as a microscopically tiny oil droplet. It allows our liver to use the milk thistle up to 10 times more efficiently, which ensures a 10 times stronger effect compared to similar products. it's not enough to detox your liver with Heparaf forte capsules. You must ensure that the toxins leave your body, or else they'll just return to your liver.. Water soluble acacia fibre from Hepafar fibers drink plays a crucial role in this process. 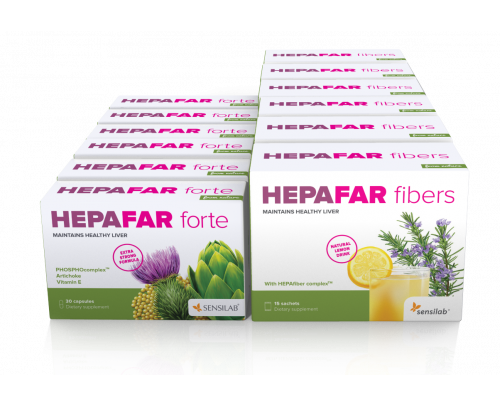 When we have a Hepafar fibers drink, the acacia fibre binds toxins and cholesterol that were eliminated by the liver during the detox. The fibre ensures that toxins leave your body and thus help prevent fatty liver. What can I do in 1 month? 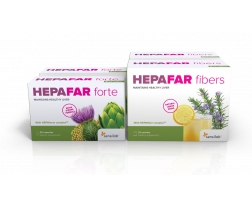 you support their detox using Hepafar capsules and Hepafar fibers drinks. If you want to strengthen your liver and have long terms results, you will need a longer, 3-month round of detox. Hepafar is a solution that many of our customers swear by. We are constantly improving the basic formula - in line with new pharmaceutical discoveries and possibilities offered by modern science. Hepafar is impressing more and more users. One satisfied user is James, who with the help of Hepafar got rid of the extra kilos that had accumulated around his stomach. He says he had gained a lot of weight in recent years. After several months of taking Hepafar and changing his eating habits, he was very surprised to be able to wear size M clothes again. He had not worn this size for years! Doctors told 44-year-old Sonia that she needed to lower her cholesterol if she did not want to be taking medication for the rest of her life. She searched online for a natural solution and opted for Hepafar Forte. Within a few months, she had halved her cholesterol level and lost weight. "I have a sweet tooth", Zach tells us. He struggled with his weight, felt bloated and had little motivation. He went online to find the root cause of the problem. He never drank alcohol so he had no idea that it was a liver problem. After several weeks of using Hepafar products, he noticed significant changes. 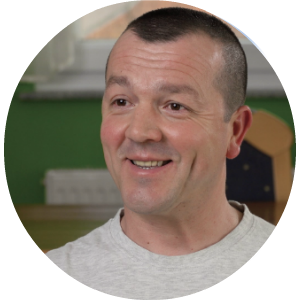 "First of all, I didn't feel bloated anymore, I felt more motivated at work and I felt lighter as well", he says with a smile. 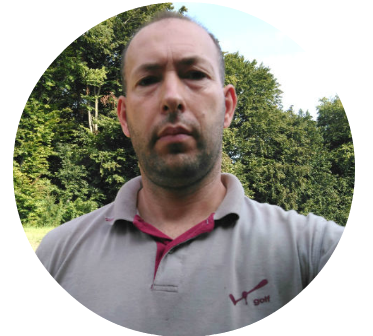 Klemen was impressed by Hepafar Forte: "Hepafar Forte helped me recover from a long summer with many unhealthy meals. It restored my concentration and energy. I am much happier." 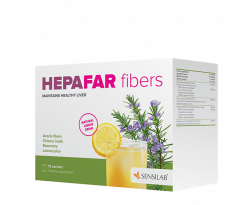 For the first 15 days of detoxing: After breakfast, take 1 capsule of Hepafar forte and drink 1 sachet of Hepafar fiber dissolved in a glass of water. After dinner, take 1 capsule of Hepafar forte. 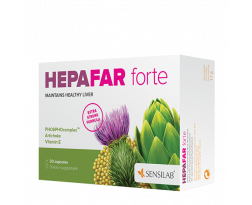 Next 15 days: Take 1 capsule of Hepafar Forte after breakfast and 1 capsule after dinner. So 2 capsules a day. Continue the pattern for a total of 3 months! 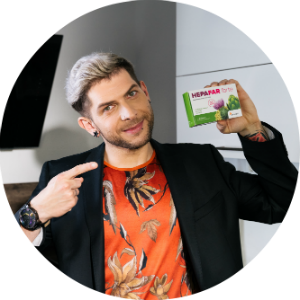 Ingredients (in 2 capsules/daily dose): Artichoke leaf extract with 2.5% cynarine – 700 mg, bulking agent: corn dextrin, HEPAforte complex™ (silybin-phosphatidylcholine complex) – 160 mg, natural D-alpha tocopherol succinate (vitamin E) – 48 mg (400% NRV*), anti-caking agent: rice concentrate, black pepper extract with 95% piperine – 10 mg, capsules: hydroxypropyl methylcellulose. Storage: Keep out of the reach of children! Store in a dark and dry place at temperatures below 25°C.. Ingredients: Acacia gum with 90% soluble dietary fibre – 7100 mg, lemon fruit concentrate powder – 1000 mg, chicory inulin with 88% soluble dietary fibre – 1000 mg, rosemary leaf extract with 7% rosmarinic acid – 500 mg, natural lemon flavour, acidity regulator: citric acid, anti-caking agent: rice concentrate, sweetener: sucralose. Use: The recommended daily intake is 1 sachet dissolved in a glass of water, preferably in the morning. Since the products contains no emulsifiers, some clumps may appear at first, so it must be stirred for a few minutes. Warning: If you are sensitive or allergic to any of the ingredients in this product, or are taking any medication, please consult your doctor before use. This product is not recommended for pregnant or breastfeeding women. Important: The recommended daily intake should not be exceeded. The dietary supplement should not be used as a substitute for a varied and balanced diet and a heathy lifestyle. A diverse and balanced diet and a healthy lifestyle are important. Storage: Keep out of reach of children! Store in a dark and dry place at temperatures below 25°C. Dietary supplement. A revolutionary formula with the best ingredients for cleansing and regenerating your liver. Dietary supplement. Drinks with soluble fibre that ensure that toxins leave your body.